There are many web hosting companies offering cheap hosting services, but they come with subpar performance. You may have a gorgeous website and a great marketing message, but that’s all worthless if your hosting service isn’t delivering. Your website is slow. Maybe clients have already told you. The rule of thumb is if it takes more than 5 seconds to load a page, something’s wrong. To keep visitors happy, load time should be 2 seconds or less. Excessive downtime. Every web host performs routine maintenance, usually during business off-hours. If you get complaints about accessibility, you’ve got an issue. Worse yet, if your site “disappears” on and off during business hours, then you’ve got a serious downtime issue. Unsecured ports. A major factor in hacking and malware attacks is site port setup. If site access is set up incorrectly, its vulnerability skyrockets. Poor customer service. If you can’t reach Tech Support, troubleshooting can be a frustrating experience. Worse yet, talking with techs can be like trying to interpret “techno-speak.” Their jargon foils your ability to get anything fixed. Search engine rankings decline. If you website goes down or has slow load times, it can have a huge impact on your rankings. 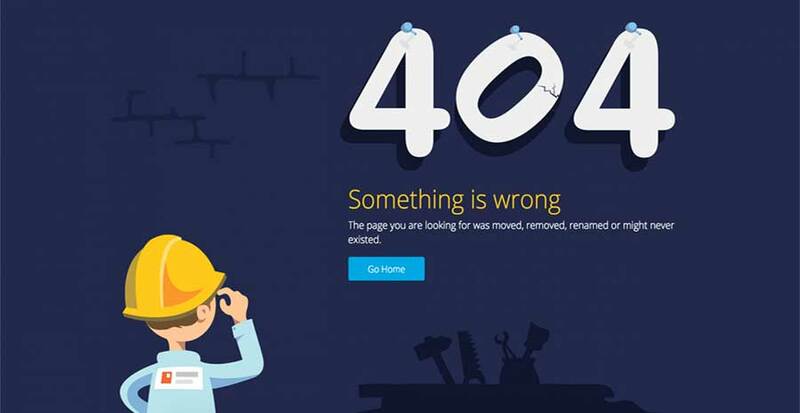 Error 404: Website Not Found. Limited resources force some web hosts to go out of business, which means all your site files go with them—along with all your time, money and effort. Review your hosting plan. Does it include regular site backups and malware scans? If you have a WordPress site, does the host automatically handle WordPress updates? Note: WordPress upgrades are often security fixes that also necessitate other software updates on the site. Keep your site theme and plug-ins up to date. Although a site may still look great in a browser, if you haven’t updated underlying software, you’re heading for disaster. Be aware that your web host isn’t responsible for managing your theme or plug-ins. If you delay or ignore updates, site load times will slow and files become vulnerable to hacking. Know the difference between a site redesign and site updates. If designed well, a website might look great in a browser for a while, but without carefully selected host and regular updates, it’s a ticking time bomb. If you work with a designer/developer, make sure they understand your hosting service; i.e., FTP access, working with backups and load speed optimization, and keeping up to date about known issues. They can recommend the right a hosting service package, track software upgrades, schedule regular updates to your theme and plug-ins—all done to minimize your risk of a worst-case scenario. If you haven’t had a site review in the past 2-3 years, now’s the time to get started. It begins with how well your website hosting service is performing. Don’t be fooled into thinking you got a great deal because of the low cost. I’d be happy to discuss your situation at no charge. Just call 414-771-8906 or email nancy@cavanaughinteractive.biz and let me know your concerns. Don’t delay—the website you save may be your own.